In short, the answer is, RUF or the people in RUF at CNU are the reason I graduated college and graduated stronger in my faith in Christ than when I entered. My freshman year at Christopher Newport University I struggled to find a christian community that I enjoyed. That was not because of lack of Christian organizations, CNU has CRU, intervarsity, Fellowship of Christian Athletes, and many other Organizations, however I could not attend CRU because of class conflicts and Intervarsity was large enough that i felt lost in a sea of already connected people. Every time I tried a ministry I didn’t feel welcome, I didn’t feel like I could thrive in that ministry. (These are all great ministries on campus. I simply did not feel at home personally.) 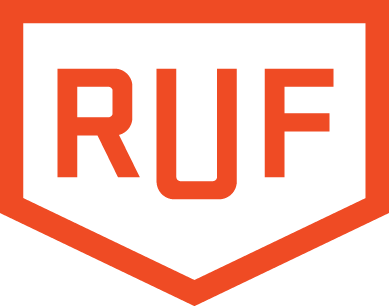 It was then that I was reminded about a ministry called “RUF” that was at CNU. Campus minister Dave Latham had spoke at a friends church and they had told me “You should go to CNU, Cameron met his wife at RUF at Virginia Tech maybe you will do the same at CNU.” and with those words on my mind I decided I would finally go to RUF. When I walked into my first large group meeting I nearly left because I thought it was someones Bible study, but before I could leave, Andrew Owen, a senior in the group walked over to me and introduced himself and invited me in to sit with him while Dave Latham played music. He was the first person in any ministry to make me feel welcome and not like an outsider. After the large group meeting, which included Dave leading worship and then giving a 20 minute sermon on a chapter in Judges, Andrew introduced me to some of the guys in RUF. Tyler Anderson and David Lezcano, as well as Dave. Tyler Anderson and David were freshman and lived in the room below mine in York River East residence hall. These were two of my first Christian Friends at CNU. Fast forward to the end of my sophomore year, my grades are low, I am struggling emotionally and spiritually and I end up taking time off of college to go home, work and get my life together. That time could easily have turned into years, but the men i met my first large group meeting pursued me even though I was not on campus. Every monday, Tyler Anderson and friends skyped me in on an Ipad for Mens small group and again Tuesday for large group. This went on all semester, including invites to Fall conference, (a weekend at a camp in the mountains) as well as several other events. Needless to say, the men of RUF kept me plugged in and made me want to go back to School. The next spring I did and I even went to Summer conference which is a week long vacation on the beaches of Panama City Beach Florida. The rest of my time with RUF was filled with just as many memories to be made as the first guys camping trip. Junior and senior year I had many of the best memories of college with my Now roomates, Tyler, Nungie, and Keller. I even ended up in Tyler Anderson wedding party. From ‘All Nighters’ eating pretzel sticks and playing videos games to heart to hearts about women, these guys are some of the best friends I have ever made and still have even a year after their senior year. If it wasn’t for RUF and the friends that I made, I would not be the person I have been today. I am thankful that God put so many God fearing people in my life and I am excited that I have been given the opportunity to do the same for others. I want to be the person that notices the new person who just walked into his first large group and the one that makes him(or her) feel welcome. I am excited for the next chapter of life serving Christ and the church on the Campus of Boise State University with RUF.